As temperatures have risen in the Arctic and worldwide, so have worries about how much carbon might stream into the atmosphere from warmer soils. Will enough new carbon be released from the ground, potentially exacerbating the global warming cycle? And will new-growth carbon dioxide-absorbing plants growing in warmer conditions be able to keep pace? Now scientists have some better answers to both questions — and they're troubling. Globally, warming will drive 55 petagrams (that's 55 billion metric tons or 55 trillion kilograms) of carbon gases from soils into the atmosphere by mid-century, according to a comprehensive study led by researchers at Yale. That amount is equal to about 17 percent of projected emissions from global fossil-fuel burning and other human activities. The study, published Wednesday in the journal Nature, cites the highest latitudes and highest altitudes as the biggest contributors of carbon from the ground. While warmer soils all around the world stimulate more of the below-ground microbial activity that produces carbon gases, the changes are most striking in permafrost regions — the Arctic, where warming is happening at least twice as fast as the global rate, and the tops of the highest mountains. In those high latitudes and high altitudes, permafrost thaw is freeing once-locked carbon left by long-ago decayed plants and animals, and making it available to the microbial processes that produces gases that are emitted above the ground. "Thaw depths are getting deeper," said study co-author Jeff Welker, a biology professor and Fulbright Distinguished Arctic Chair at the University of Alaska Anchorage. The global calculation for the mid-century total for carbon emitted from soil — an amount roughly equivalent to all U.S. carbon emissions from human activities — is a gross figure, not the net after uptake by plants above the ground's surface, Welker said. But prospects for Arctic plants to absorb the extra carbon gases appear dim, according to another newly published study led by scientists at the University of Alaska Fairbanks. On at least part of Alaska's North Slope, new carbon streaming out of the soil is already outpacing any carbon uptake by plants on top of the ground and the area has become a net carbon emitter, according to the study, published in the journal Ecosystems. The UAF-led study monitored eight years of year-round carbon fluxes between the air and the soil, making it a very rare long-term project. (Most studies tracking carbon gas movements only monitor in the summer.) 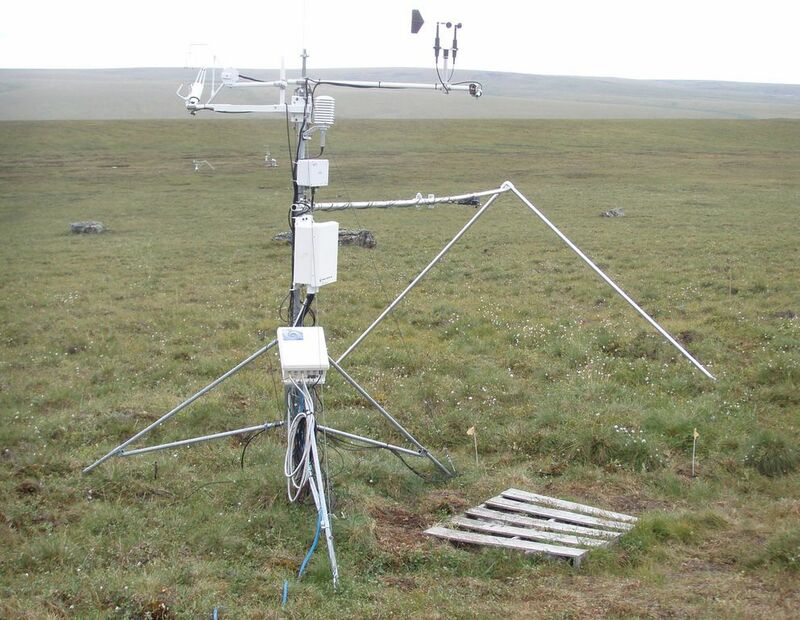 The study used tripod-mounted sensors to measure carbon dioxide, the dominant greenhouse gas, and methane being released and absorbed by different types of tundra at a test site in the Brooks Range foothills. Releases of carbon dioxide from wet sedge tundra — areas along creeks and rivers that become soggy in summer — were particularly high. Over the 2008-2015 study period, 4.1 percent of the carbon held in the upper layer of soil at those wet sedge areas was sent into the air, the study found. The volume of net carbon released into the air was so much higher than anticipated that lead author Eugenie Euskirchen of UAF's Institute of Arctic Biology asked technicians to do an extra review of the results. "It was quite a bit more, especially about the last three years. I was really surprised," she said. The result is an ominous sign for the future, signaling more climate-warming gas pouring into a region that has already warmed dramatically, said co-author Syndonia Bret-Harte, also of UAF's Institute of Arctic Biology. "It could be a profound feedback to global climate from a relatively moderate area of the earth," Bret-Harte said. To get a sense of total North Slope tundra carbon emissions, the scientists used calculations for 2013 and 2014 at the test site, which is near the UAF-operated Toolik Field Station, and extrapolated them over the wider region. According to the calculations, the entire North Slope, with its varied types of tundra ecosystems, would have produced about 14.3 million metric tons of net carbon releases from its soils during those two years. 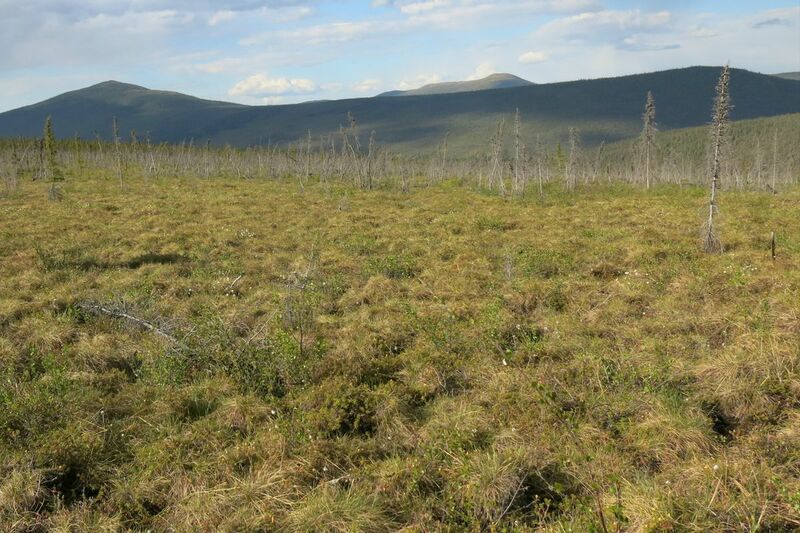 Most previous studies of tundra carbon flux have been limited to summers, a season when the tiny Arctic plants on the ground's surface take in atmospheric carbon and make the tundra a carbon sink, Euskirchen and Bret-Harte said. This project found, as expected, that the brief and bright Arctic summers were seasons for carbon absorption at the site. But the net, year-round emissions significantly outweighed summer plants' absorption. Late fall and early winter, a time when plants have ceased their photosynthesis but soils are still above thaw temperatures and warm enough to allow microbial activity, has turned out to be a significant player in annual carbon emissions from the tundra, the authors said. Autumn has become the season with the most dramatic warming on the North Slope. The season in recent years has been characterized by smaller areas of ice cover in the Arctic Ocean and bigger expanses of open water that can send stored heat into the atmosphere. Such changes seem reflected in the tundra carbon emissions, Euskirchen said. From 2013 onward, North Slope autumns have been particularly warm and autumn emissions those years were also strikingly large, she said. Welker, who was not involved in the UAF-led study, said signs are that later arrival of winter conditions is a big factor. "On an annual basis, there's more time in the fall when ecosystems can be losing carbon and more time in the spring when ecosystems can be losing carbon, without the vegetation to assimilate that carbon," he said. "The Arctic is having a difficult time being a carbon sink." It is true that shrubs are expanding northward and treeline is moving up in altitude, offering some chance to offset increased release of below-ground carbon, he said. A U.S. Geological Survey study released earlier this year concluded that Alaska as a whole, despite its thawing permafrost and increasing wildfire burns, will keep its status as an overall carbon sink through the end of the century. But that does not appear to be the case for tundra regions north of the boreal forest, Welker said. On the Arctic tundra, vegetation has just a short season to photosynthesize, and it is small, lacking the type of big leaves that draw in a lot of carbon dioxide. If the Arctic has converted from a carbon sink to a carbon emitter, Welker said, "we're putting ourselves in a little bit of a pickle." Work to track emissions from soil builds on many years of study tracking below-ground temperatures in North Slope soil. UAF scientists in particular have been recording temperatures at various depths within the permafrost and in the active soil above, the layer that thaws in summer and freezes in winter. Less analysis has been done of the Northwest Alaska region, but now one new study shows a marked pattern of ground warming there as well. Ground-surface temperatures at a site about 40 miles inland from the Chukchi Sea and near the Red Dog Mine rose 0.44 degrees Celsius (about 0.8 degrees Fahrenheit) from 1996 to 2006, according to the study by researchers at Southern Methodist University and published in the journal Global and Planetary Change. That is slower than the increase in air temperatures at the site but significant enough to make some below-ground changes in the future, said lead author Joseph Batir, a geophysicist. If soil warming continues at the current pace, the active layer of soil — the layer that is frozen in winter but thaws in summer — will be more than twice as thick in 2055 as it is now, according to the study. And if the warming pace continues into the future, the 125-meter layer of permafrost at the site will be entirely thawed by the middle of the coming century, the study found. Batir said he and his research partners are working on a plan to analyze more recent ground-surface warming at the Northwest Alaska site.